Prices effective May 1, 2018 and are subject to change without notice. It comes as no surprise. As families seek affordable alternatives to traditional funeral and burial services, many are choosing cremation. And many living in our area select Van Orsdel Family Funeral Chapels and Crematory as their trusted cremation provider. Why? 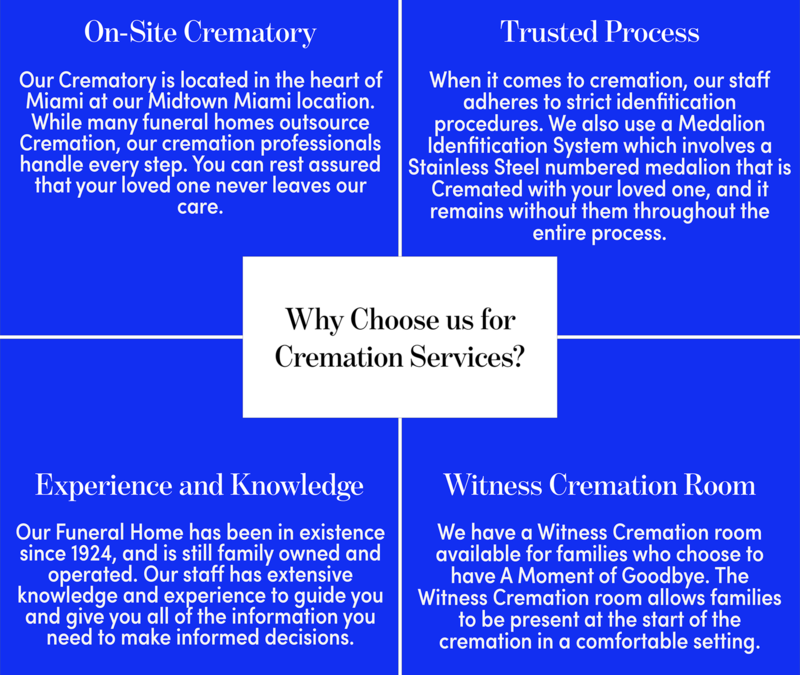 There are many reasons for choosing our funeral home, but perhaps the most important factor is that we own and operate our crematory on our premises. This means your loved one will never leave our facility. It also means that each step of the cremation process is handled by one of our cremation professionals. While some funeral homes advertise that they offer "cremation services", most subcontract this sensitive process to distant, off-site industrial crematories. By operating our own state-of-the art cremation facility, we offer you and your family a priceless commodity – something other funeral homes cannot provide – true peace-of-mind. Private ID viewing at Midtown Chapel prior to Cremation and/or Witness Cremation. Limit is to 6 persons, 30 minutes. You have our assurance that Van Orsdel Family Funeral Chapel is the most appropriate cremation provider for your family. We are committed to transparency in cremation operations, and invite you to begin the process today.